Prior to becoming a lawyer Matt worked as a construction worker with the Colville Construction Company, taught high school history, and served as an Intelligence Officer in the U.S. Army. Matt’s military service included a tour with the 75th Ranger Regiment as well as a post 9/11 tour of duty that spanned the Middle East. During that tour Matt provided intelligence support to the Army, Navy, and Air Force Special Operations Forces. In 2016 Matt retired from the Washington Army National Guard. His last assignment was as commander of a Military Intelligence battalion. 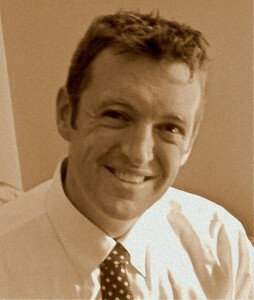 Matt works for Crotty & Son Law Firm, PLLC, which is located in Spokane, Washington. From time-to-time Matt teams up with Tom Jarrard to litigate USERRA cases. In addition to litigating USERRA cases, Matt has represented corporate clients in both plaintiff and defense capacities. Those cases ranged from real property disputes, creditor collection matters, class actions, and employment discrimination cases. Matt has arbitration, bench trial, and jury trial experience. Matt is a happily married father of three children, two dogs, and two cats. He enjoys the outdoors and exercising. Find out more about Matt’s legal experience here.